Are we alone? I think not, and sometimes this belief makes me see things in the sky that are probably not really there. There are so many things up in the sky that can be misidentified and one of the most common are clouds. 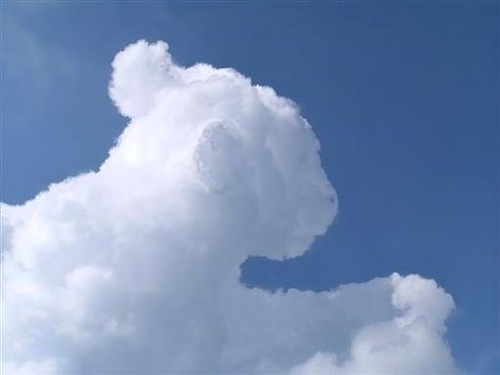 It seems that in addition to looking like horses, hearts, or Simba, clouds can also take the form of alien spaceships. 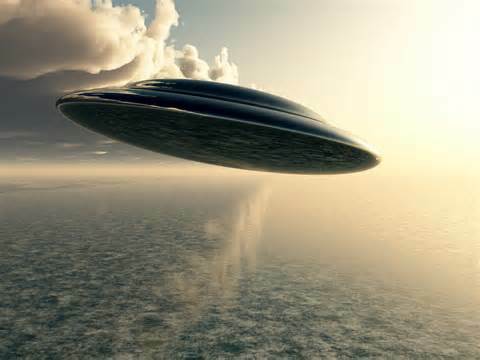 Now I can’t speak for 100% of the photos out there (and please send me any interesting ones) but a lot of supposed UFOs are lenticular, or lee clouds. Are we being invaded? No, not yet at least. Lenticular clouds form when air meets a mountain range. Unable to pass through it, the air rises over it. Warmer air must rise into higher altitudes with colder temperatures, and colder air can not hold as much water vapor. If the rising air is moist enough, droplets or ice crystals will form, creating a cloud. This forced rising of air also has a significant effect on precipitation. 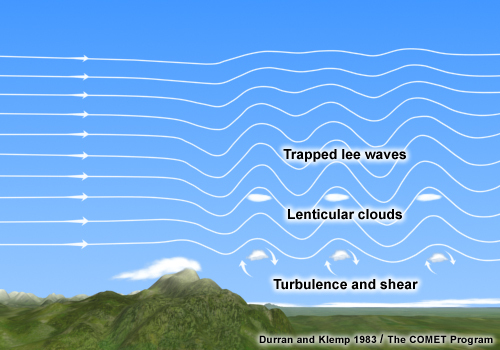 Rising air on the upwind side of a mountain will stimulate or intensify rain or snowfall, while sinking air on the downwind, or lee side, will inhibit it. This region of decreased precipitation on the lee side is said to be in a “rain shadow.” A good example is the state of Washington, where the Cascade Range produced abundant rainfall to its west and creates a rain shadow to its east. Average annual rainfall in Washington. A topographic map of Washington. Look at how the location and shape of the Cascades match the precipitation map. Anyways, back to the UF… sorry, I mean clouds. The lenticular cloud will rise up over the peak of the mountain and sink down the other side. When the air reaches a warm enough layer, the cloud will cease to be. If the air is stable enough, that will be the end of it. Other times, this disturbance in the airflow will lead to lee waves, a set of rising and sinking motions downwind of the mountain. These waves can continue for many miles, creating sets of lenticular clouds. This process can also repeat itself at different layers of the atmosphere, stacking lenticular clouds on top of each other like pancakes. For some great example, check the photos below. I’m a weather junkie for decades now, but only came across lenticular clouds for the first time recently on Facebook, and now for the second time on your blog! Thanks for the explanation. Truth really IS stranger than fiction.